Spring has arrived here in Southern Ontario and along with it comes MUD. Mud all over my house as the kids and the dog come barrelling in the doors without wiping feet or removing footwear. To say this is a stretch of my sanity is the understatement of the season, I fear the neighbours can hear me as I moan in frustration. Don’t worry I haven’t forgotten to be grateful for the lovely weather, anything is better than the piles of snow we had this Winter. Honestly, I thought the pile at the bottom of my driveway would never melt! With Spring and the muddy house comes thoughts of poolside celebrations and time with family and friends. This month on May 5th many of my friends in the United States will be celebrating Cinco de Mayo, a celebration of Mexican culture and heritage, particularly in areas with large Mexican-American population. My friends at the #FridayRecipeClub decided that we should celebrate by each creating a Mexican recipe. Of course I chose to make a Mocktail, what is better than a delicious, fresh beverage to celebrate with? 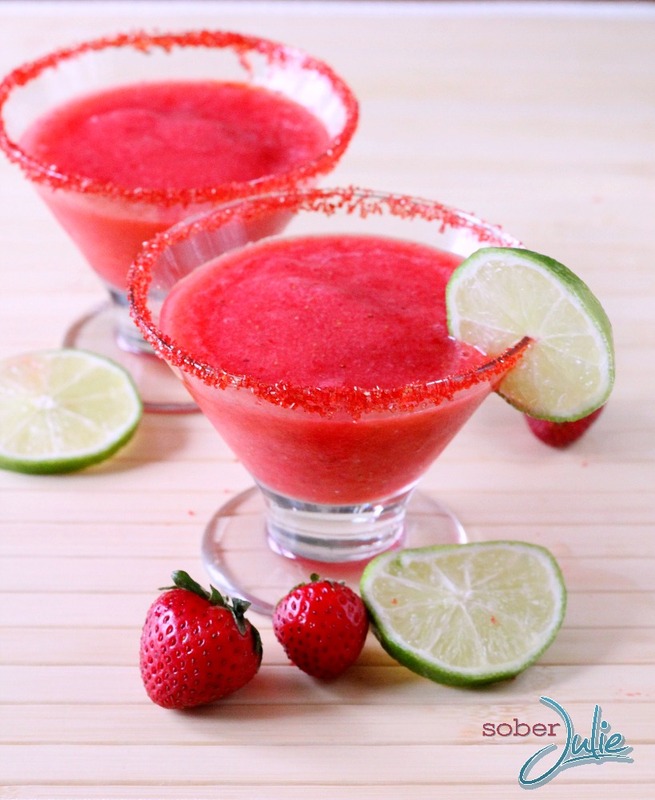 My Strawberry Margarita Mocktail is perfect for Cinco de Mayo! Don’t forget to check out my fellow #FridayRecipeClub foodie’s recipes which I’ll list at the end of this article. 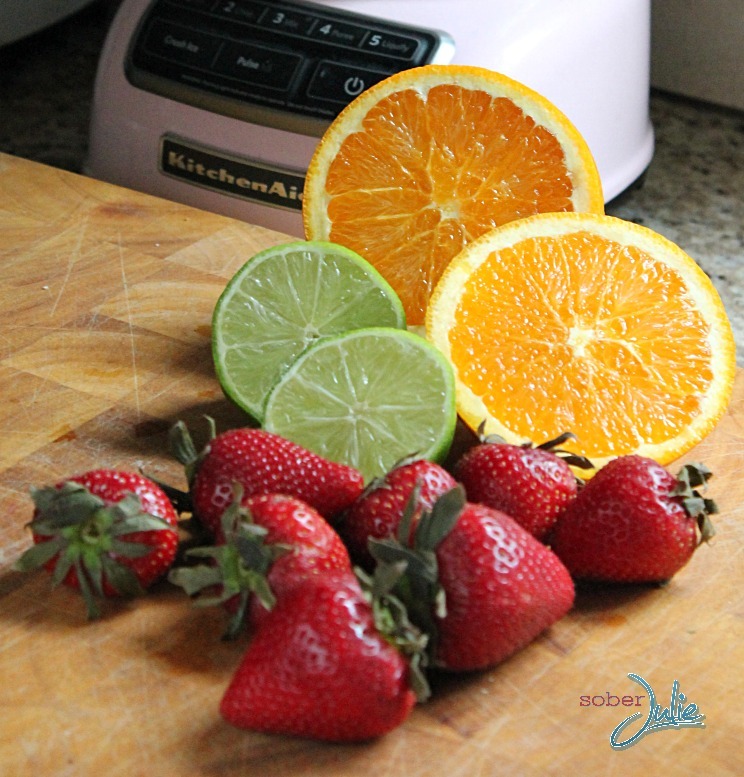 You are welcome to use frozen or store-bought juices but I’ll always recommend using fresh ingredients. 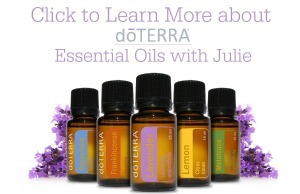 They’re just so much richer in taste and have more nutrients. For more delicious Cinqo de Mayo recipes from my #FridayRecipeClub friends, follow these links! 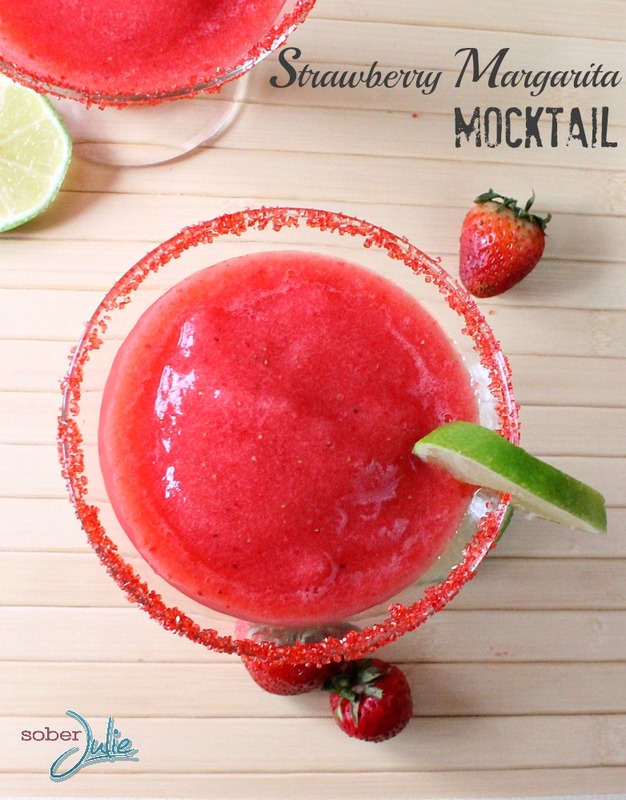 Mmmmm I love mocktail margaritas…they’re SO good – your recipe looks perfect! And is that a soft pink blender I see?! I’m in love. You have done another great job. Love your mocktail recipes… Keep them coming!! 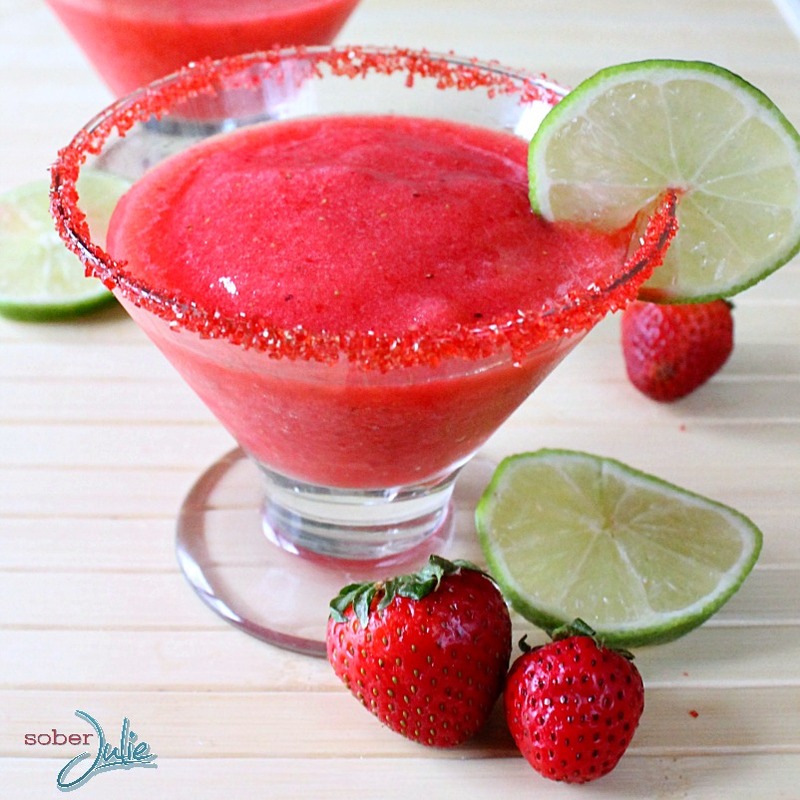 I am a big fan of Strawberry frozen drinks; great cool drink for the summer months too. 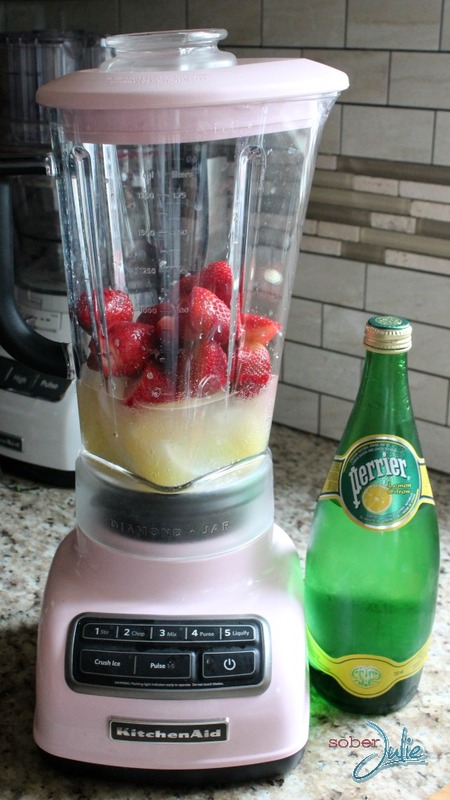 I love the pink blender. YUM! I love me a delicious frozen drink! I’ll have to give it a try! ooo this look s so refreshing. I love mocktails and this one sounds delicious. Thanks! How much ice would you suggest to initially use?